Building customer relations that run deeper than the superficial newsletter greetings are getting more difficult today. The average consumer today is distracted, spoilt for choice and very busy. To effectively get a customer to return to your business again and again requires additional effort. Events can help you cut through the noise online and offline. Through live events, you can attract potential customers and cultivate long-term relationships with existing customers. People continue to be attracted to actual human connection. And with online ticketing and registration solutions readily available online, event-goers can attend events more conveniently. Events offer businesses a great growth hacking strategy to achieve a stronger customer base and greater brand connection. You don’t have to do everything yourself. The best part about planning events is that you have a real reason to call up that emcee you met at a networking session last time, or that catering company your cousin runs. And if you plan an event that really excites your target audience, they might actually help you plan and market it! Leverage on their networks and enthusiasm. For instance, Airbnb supports their users in planning meetups for people in certain locales, enabling them to have events in their name all around the world. And as your event gains traction, you can start engaging your event attendees to be part of your event in different ways. For EventNook, our networking events brought together events people from all parts of the event industry and soon, we found an emcee, venue sponsors and event photography services for our subsequent events who would be willing to use our events as a platform to showcase their services. Social media is also a great way to tap on the networks of your event attendees. Prepare relevant social media channels and hashtags and encourage people to use it before, during and after the event! It’s free marketing so why not use it? As an event planner you don’t need to wrack your head planning a huge and spectacular event to achieve your goal of driving growth. Small and cozy events with a conducive environment for conversations will help your event goers form communities with each other and strengthen their relationship with your business because they get more individual attention from you. Moreover, you can save significantly on costs! Focus on 1-2 things you want your event attendees to get out of your event. Do you want your event goers to experience your services, form connections with each other, or gain some valuable knowledge? What is the main takeaway for your audience? Like in business, go lean with your event. Do away with unnecessary frills like a buffet dinner, or an entertainer even. But make sure to invest enough time and resources into helping your audience get what they came to get. Partnering up can double your market reach while reducing the work for each company. Moreover, your event will look more credible for the attendees. And you can make it event more useful to your event attendees by exposing them to a complementary service or product! Just make sure to clarify expectations with partner businesses and communicate consistently before the event so that all partners are on the same page. Tie back the event to your company. Have a definite plan about how you can generate sales from the event. Ensure the personality of your company comes through in the event. And make sure you brand, brand, brand! Your presentation slides, event venue, freebies and even the content of your event should show your company’s logo and link back to your overall brand. 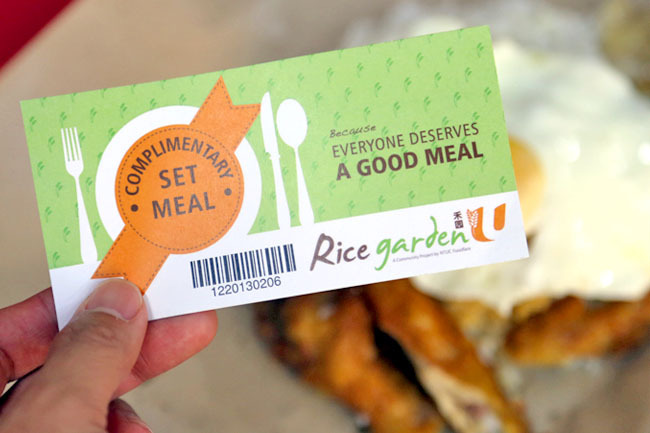 For instance, consider giving away food vouchers as lucky draw prizes at the event if you are running a restaurant so that event attendees are encouraged to return. Or, giving away samples of your company’s product that may require customers to buy complementary products or return for re-fills can help increase customer retention. Make your event useful, fun and enjoyable. 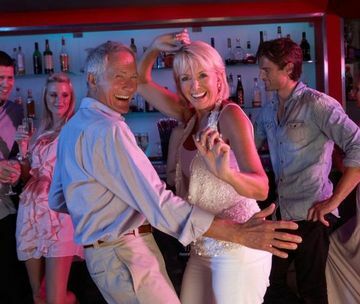 A positive and comfortable (relaxed) experience is more likely to leave a long-lasting sense of joy in your event attendees’ lives and they will attribute this to you! Events make people feel appreciated. By planning an event for the benefit of your customer segments, you show that your business genuinely cares. It can be incorporated into your growth hacking strategy. At the same time, by getting to know the people in the company, your business is humanised, and trust tends to strengthen. Even if you are on a tight budget, there is always a way to plan a killer event to drive business growth! 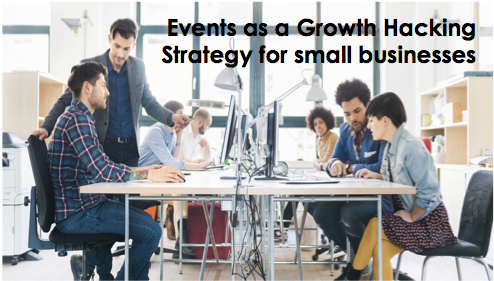 Want to start accelerating your business’ growth through events? Next Post Create your very own Organizer’s Profile on EventNook!